Following the news that Brooks store is to close the doors of its Carluke shop in January, SNP MSP for Clydesdale Aileen Campbell and SNP MP for Lanark and Hamilton East have written to South Lanarkshire Council, the local Development Trust and the town’s Business Improvement District, to request their presence at a summit to discuss the town’s future. Ms Campbell & Ms Crawley will be inviting partners with an interest in the continued success of the town to work together on developing a plan for the future of the town centre. This work will build on efforts that have already sought the views of Carluke residents expressed in the Survey and the Development Trust’s ‘Carluke Conversation’ exercise. “Town Centres everywhere are struggling to remain relevant and as more and more people turn elsewhere to shop, stores across the country are closing down. “That said, with every challenge comes opportunity, and by diversifying to suit the changing market, we can attract more people to Carluke. 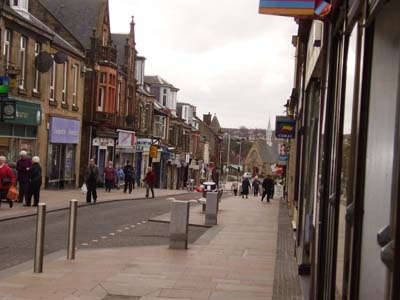 “South Lanarkshire Council recently published an action plan to regenerate Hamilton town centre and I believe that can be a model for town centres across my constituency. “After 165 years in the town, of course it is sad to know that the store will cease to be part of Carluke’s high street. It has been a much valued business and employer in the town and I know it will be missed. However, a moment like this prompts us to think to the future. That is why I am calling for a summit to bring interested parties together to combine efforts and develop a plan for the future of our high street. There is lots in Carluke to be positive about and the newly installed town signs show, I believe, an explicit and growing sense of pride. “The reality is lots of towns are facing pressures and challenge, and so in that respect, Carluke is no different. However, what Carluke does have is a chance to bring together the energy of the local groups, the local authority and interested businesses and channel that into creating momentum, opportunity, vision and improvement.